Fiesta time - discover the local celebrations and traditions of Ibiza. 12. 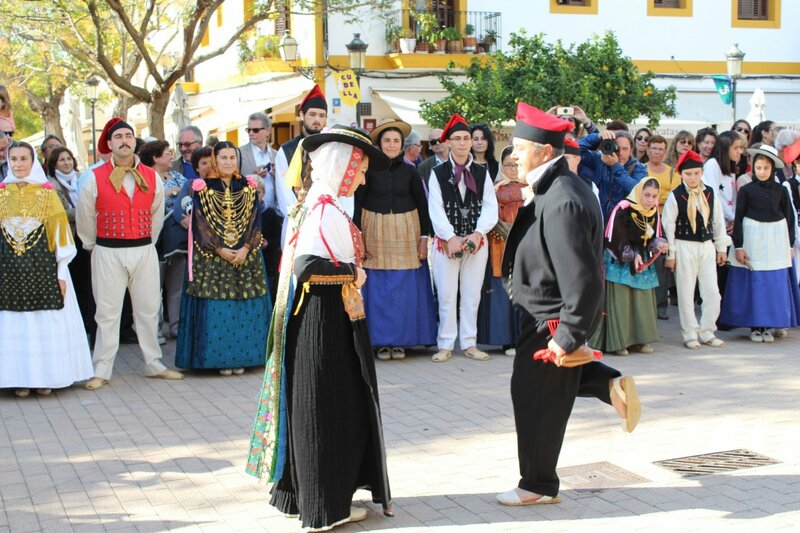 February - Patron Saint's day in Santa Eulalia. Carnival - Carnival season for the whole of Ibiza. All the island's children dress up in costume and parade through the streets of each town. 23. April - Patron Saint's day in Sant Jordi (Sant Jorge). The day of Saint George is celebrated in all the San Jorges throughout Spain, traditionally books are sold on the streets for a special price. 23. June - Throughout Spain, the start of the summer is celebrated with fireworks and bonfires. In the evening, the village San Juan celebrates a raucous fiesta including the burning of various figures and fire walking. 16. July - Nuestra Señora del Carmen. Saint Carmen is the Patron Saint of all fishermen. There is a holiday in Ibiza Town, San Antonio and Formentera, including a procession on the water in Ibiza Town. Es Cubells celebrates its Patron Saint's day. 25. July - San Santiago (St. James's day), the Patron Saint of all Spain. 05. August - Patron Saint's day of Nuestra Señora de las Nieves of the cathedral in Ibiza Town. 08. August - The Patron Saint of the island, San Ciriaco is, honoured with a communal meal in Puig des Molins on 8 August. At midnight there is a huge firework display in Ibiza Town. More information about the main local fiestas and all markets can be found in the events' calendar.